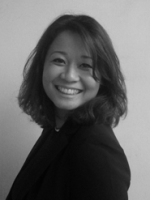 Elfarina Zaid is an Executive Coach with EDA Asia Pacific based in Singapore. She was amongst the first Singaporean to be a Certified Professional Co-Active® Coach (CPCC) and Graduate of Co-Active Leadership Program by The Coaches Training Institute, one of the oldest and leading worldwide coach training school. 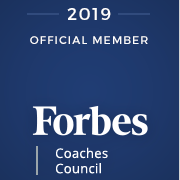 She has over 400 trained hours in Coaching and Leadership and 500 coaching hours on Leadership and Professional Development. Elfarina blends her corporate experience of brand and organizational management, her community role as Director of Strategic Development with Singapore Business Council, UAE with her acute sense of cross cultural understanding having lived and worked in Australia, Europe, Asia and Middle East over the past 8 years. Elfarina uses her charm, light and freshness to push against status quo and boundaries, towards leadership and deeper relationships needed to bring about desired outcome. She focuses on work that injects positivity, innovation, creativity, leadership, engagement, emotional intelligence and culture. She partners with her individual and corporate clients who include Managing Directors, Entrepreneurs, executives, individuals in MNCs, government bodies and the private sectors. She specializes on her curiosity and ability to be with intense emotions allows her to navigate complex situations and win trust to achieve results with her clients. Elfarina speaks and facilitate trainings with Organizations, and Associations on the following themes: Authentic Leadership, Building Visionary Business, Values Based Corporate Culture, Employee Engagement and Relationship Systems and Dynamics. Elfarina has been published in the Human Resources and Her World magazine. She has also appeared on MediaCorp’s Radio’s 93.8FM Live, Warna 94.2 and Lush 99.5 as a studio guest. Coached an Executive in one of the leading pharmaceutical company to address critical issue management with focus on leadership, strategic direction and relationship dynamics. 4 months coaching resulted in issue being addressed.